Yacht Dolphin in 1891 She was built as a small cruiser, despatch boat or gunboat in 1884. From 1895 the outbreak of WWI she served as a "special despatch boat", frequently carring the Secretary of the Navy and the President. She was sold in 1922, reportedly to Mexican interests, and named Plan De Guadalupe. She is reported to have been scrapped in 1926. 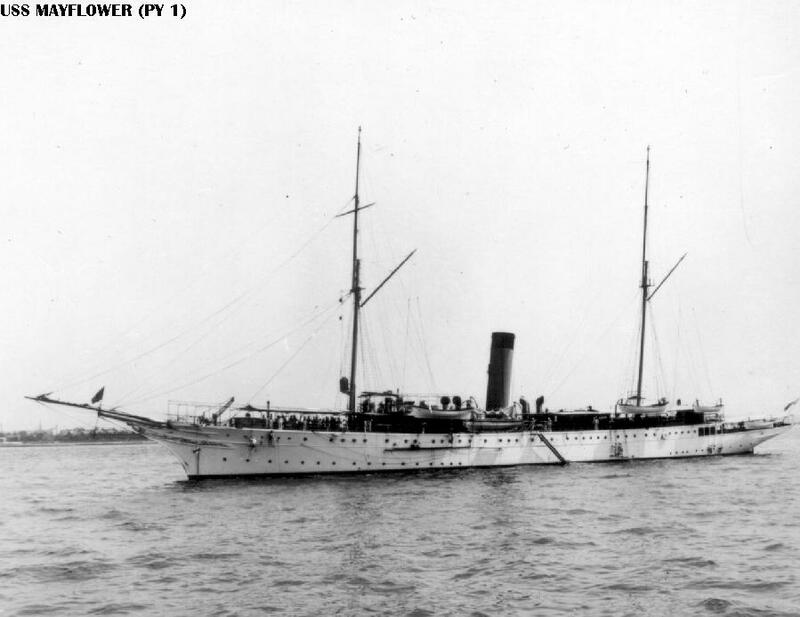 Yacht Mayflower 2 August 1905 at the Russo-Japanese peace conference. 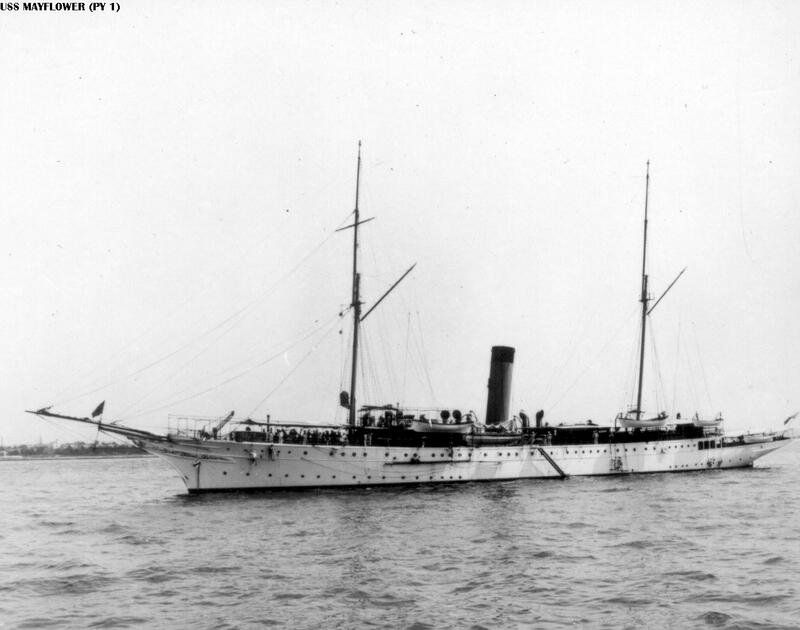 This vessel was built as the yacht of Ogden Goelet, and was purchased by the Navy in 1898 for service as a gunboat during the Spanish-American war. In 1905 she hosted the Russo-Japanese peace conference. She then served as Presidential yacht until 1929, when President Hoover ordered the vessel decommissioned. 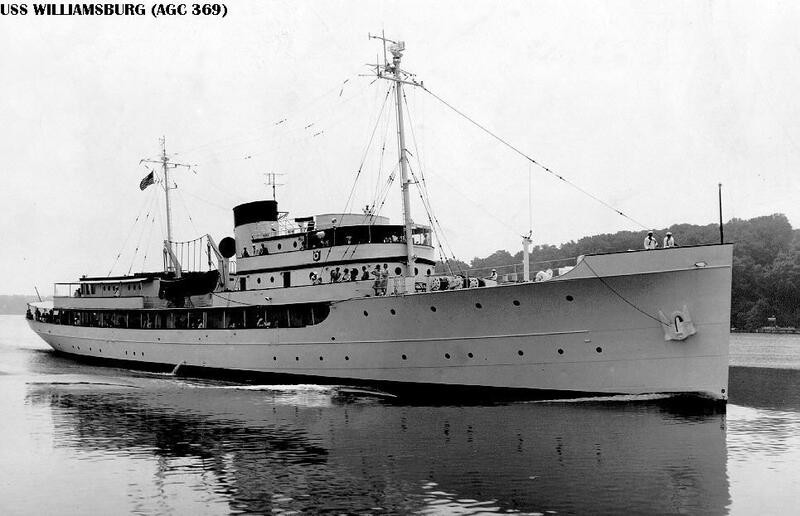 She was sold and reconverted to a yacht, but was taken into the Coast Guard during WWII as a patrol vessel. 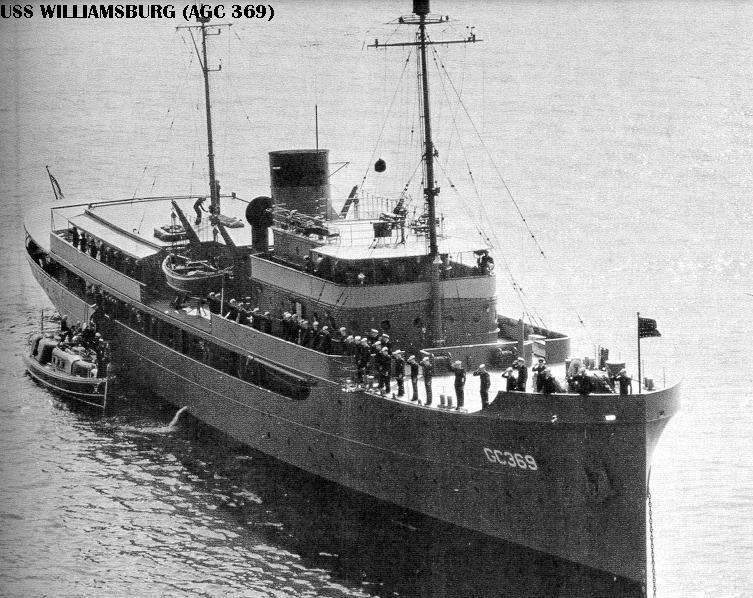 Postwar she was sold and secretly outfitted to carry Jewish refugees from Europe to Palestine. On 3 September 1948 she arrived at Haifa carrying the refuges from Exodus, a refugee ship which had been turned back from Palestine previously. Her subsequent fate is not recorded, but she probably ended her days in a European scrapyard. Another view of the yacht Mayflower in the early 1900's. 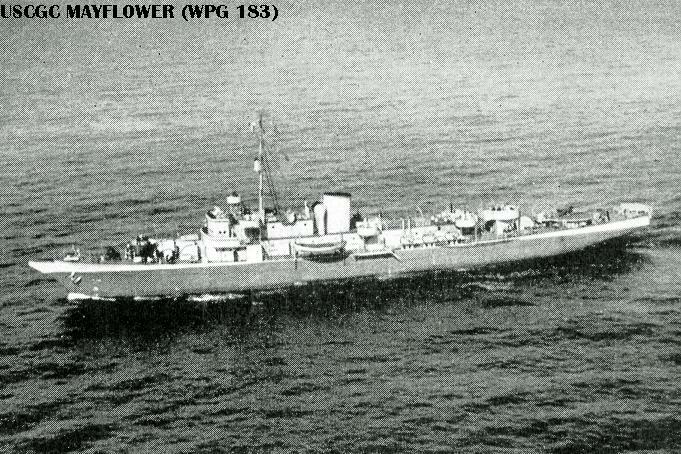 USCGC Mayflower (WPG 183) 18 February 1944. Showing a dramatically altered appearance, Mayflower has become a Coast Guard patrol gunboat. No hint of her former identity can be recognized. Yacht Sequoia on the Potomac 22 November 1966. Built in 1926 as a private yacht, Sequoia was purchased by the Commerce Department for Prohibition patrol duties in 1931. In 1933 she was acquired by the Navy as the presidential yacht. 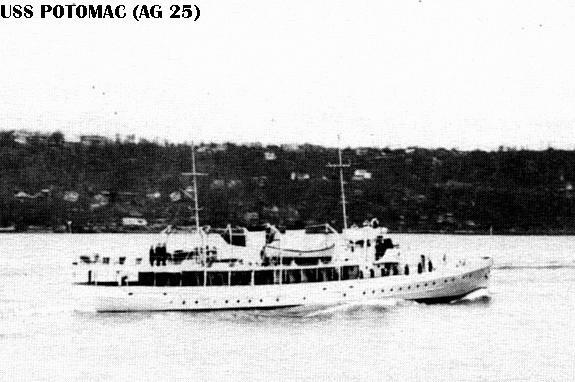 She served in this capacity until replaced by Potomac in 1936. 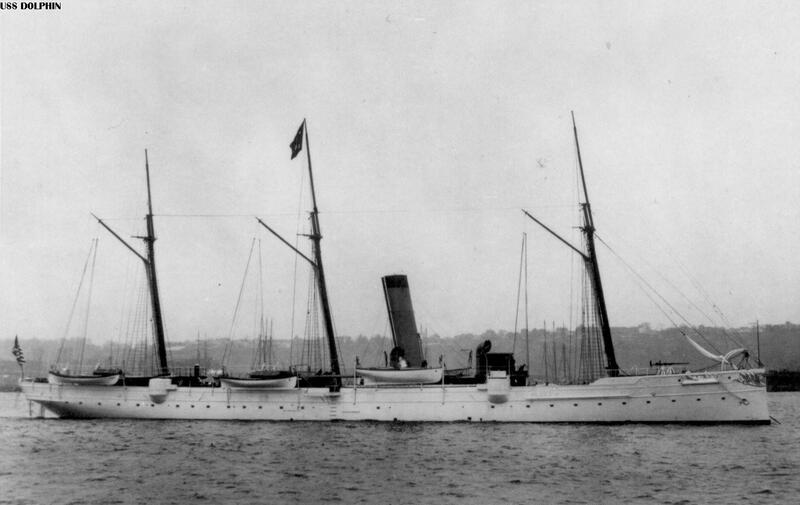 Sequoia then served as the Secretary of the Navy's yacht until 1969, when she became a dual-use yacht for the President and other high-ranking government officials, replacing Williamsburg. In 1977 she was sold at President Carter's orders. A private foundation acquired the yacht in 1985 with the intent of returning her to government service. Unfortunately this foundation went bankrupt in 1988 and the yacht lay derilect for nearly a decade. Eventually coming under the ownership of Norfolk Shipbuilding & Drydock Co., Sequoia has been fully restored and once again operates along the Potomac. Yacht Potomac (AG 25) cruising on the Potomac River. Built as the Coast Guard patrol boat Electra in 1934, she was taken over by the Navy as a presidential yacht in 1935. In 1941 she was condemned as unseaworthy due to added topside weight, but she was retained in service until Williamsburg was available. 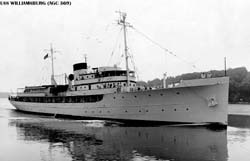 Decommissioned in 1945, she served the state of Maryland as a fisheries vessel from 1946 to 1960. After periods as an inter-island ferry in the Caribbean, and as a floating museum dedicated to Franklin D. Roosevelt, she was puchased by Elvis Presley in 1964 and donated to St. Jude's Hospital in Memphis, TN. A series of owners followed, and in 1980 the yacht was seized on suspicion of drug-running. Soon thereafter she sank in her berth, was salvaged by the Navy, and was purchased by the Port of Oakland, CA. Potomac is now owned by the Association for the Preservation of the Presidential Yacht Potomac. She has been completely rebuilt and restored, and is normally docked at FDR Pier, Jack London Square, Oakland, CA. 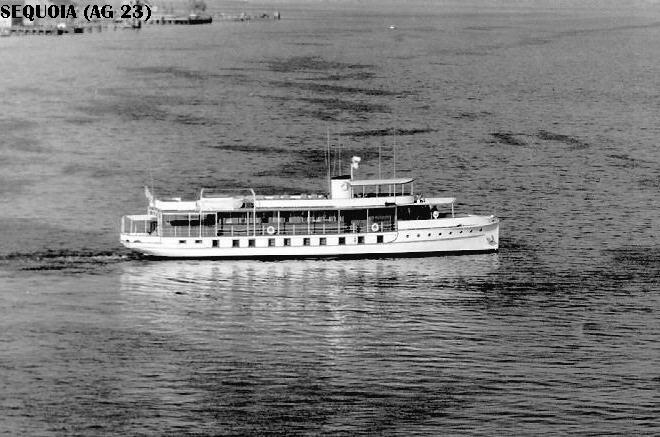 The yacht Williamsburg on the Potomac sometime after WWII. Built in 1930 as the yacht Aras, she was acquired as a gunboat in 1941. During WWII she served mostly as a command/headquarters, transport and VIP ship. 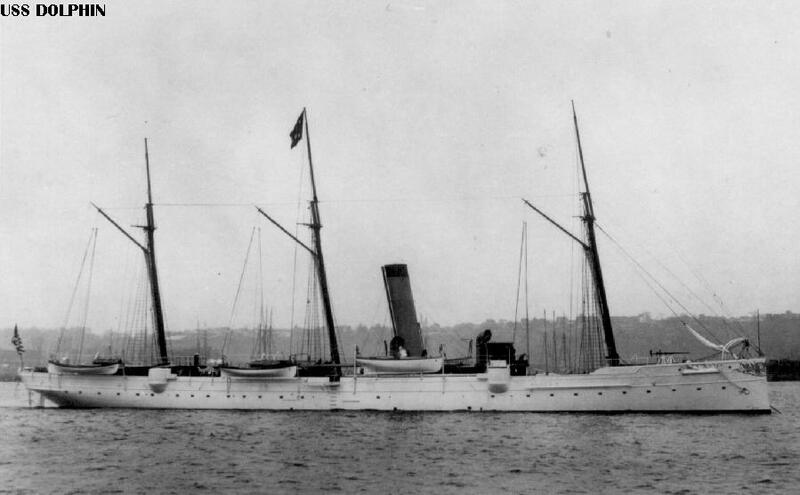 Late in the war she started conversion to an amphibious command ship, but the war soon ended and she instead became the new presidential yacht, replacing Potomac. President Truman boards Williamsburg in 1946 The yacht was decommissioned in 1953 per the orders of President Eisenhower. Laid up from 1953 to 1962, she then served the National Science Foundation until damaged in a drydocking accident in 1968. She was subsequently sold to become a hotel/museum in New Jersey, but she was instead laid up. In 1993 she was sent to Genoa, Italy for conversion to a luxury cruise ship. However, these plans were never realized. 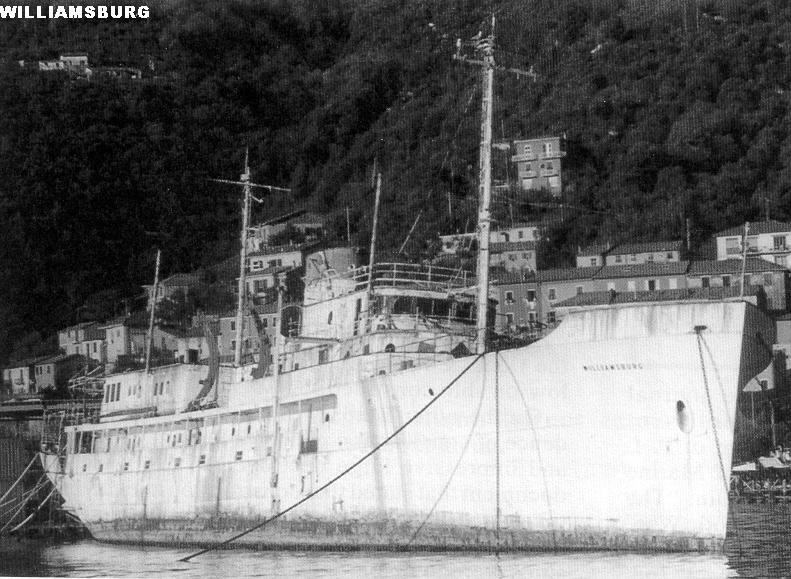 By 1998 Williamsburg had deteriorated to this sad state, gutted and awaiting scrapping, at La Spezia, Italy. 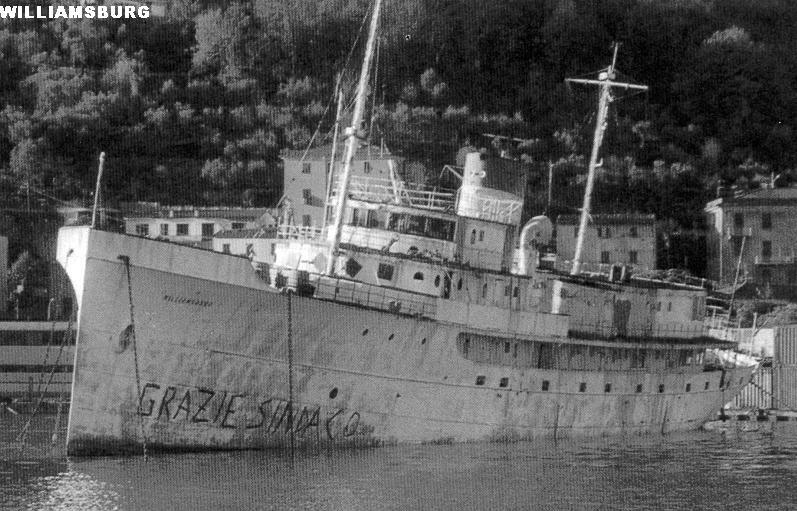 The former yacht was faced with imminent scrapping, but an urgent appeal to the Italian government saved her, temporarily at least. An organization has been formed with the goal of returning Williamsburg to the US for restoration and preservation. The USS Williamsburg Preservation Society may be contacted at 262 McLaws Circle, Suite 203, Williamsburg, VA 23187. Photo courtesy of the USS Williamsburg Preservation Society. Another view of Williamsburg as she lay in June 1998. Photo courtesy of the USS Williamsburg Preservation Society.